Looking for inspiration for your wedding thank you notes or thank you gifts? I hope you'll find all you need here! This section is growing quickly with all the new ideas I'm adding! You can even find inspiration for your wedding thank you songs here now! Making Sure You Say Thank You Properly! Never forget to thank all those who were there for you on your wedding day properly. A verbal thank you, while appreciated, is not enough. Personalised thank you notes for everyone who shared your day with you ... regardless of whether they gave you a gift! You'll find lots of advice about thank you note etiquette here to help you create your perfect thank you notes ... even if you've never written a note of thanks before! Thank you so much to everyone of you who contributed towards the lovely heart cheeseboard and the money for our wedding gift. It was unbelievably kind of you and we were quite overwhelmed. We had an amazing wedding day and a fantastic honeymoon in Bermuda. We put the money towards an excursion where we were abe to swim with turtles, which we loved and will remember forever. I love the huge selection of wedding thank you cards available at Planet Cards. Why not take a peek now? You'll be amazed at the choice they offer. Thank you notes for wedding gifts. Short sayings to copy and use in your personalised wedding thank you notes. Need a wedding thank you song? Find perfect thank you song lyrics to help you say thank you to someone special on your wedding day. 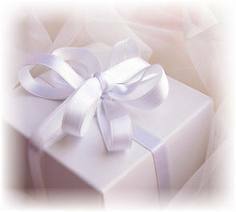 Learn how to find or create an unique wedding gift thank you. Your life-saver if you're stuck when choosing thank you gifts for your wedding. Packed with free wedding thank you poems to use in your wedding thank you notes, wedding favors or wedding vows, this is a quick and easy resource to use. Add wedding quotes to your thank you notes for a different take on traditional wedding thank yous. Lots of wedding thank you sayings. Free to use in your wedding thank you cards and wedding thank you notes. Ways of saying thank you for your wedding gifts"
Find Wedding Thank You Card Sayings to express your gratitude, your way. Masses of wedding thank you card examples to choose from. A wonderful way to say thank you to friends and family for sharing your wedding day with you. Find or create cheap bridesmaid gifts. Masses of cheap ways to find thank you gifts for your bridesmaids and keep your budget under control!